There is is a useful discography by K. R. Tembe, The Record News, vol. 1 (January 1991), 22-26. 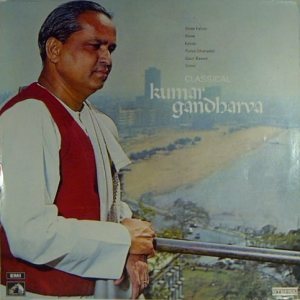 The photo of Kumar Gandharva is borrowed from, and hyperlinked to, Karl-Michael Schneider's list of HMV Recordings. I am grateful to Vivek Khadpekar for suggesting corrections to some of the information above. Additional information or corrections will be most welcome.